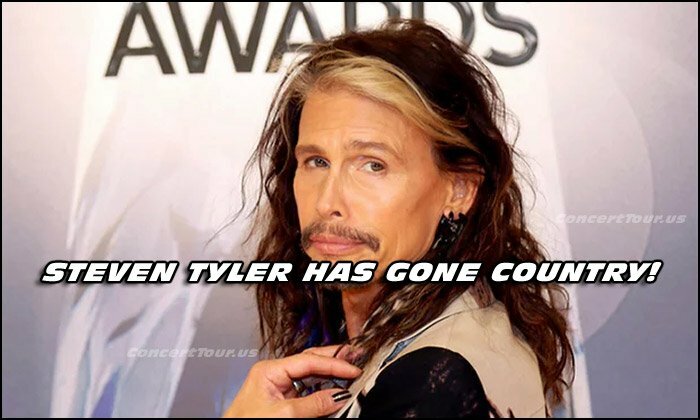 No, Steven Tyler has not left Aerosmith and in fact, Aerosmith is not going anywhere, except on their own tour (with Tyler) this fall and hopefully next year. Aerosmith themselves are already listed to play the Kaaboo Festival (in California) and in Colombia, Chile, Argentina, Brazil, Peru, & Mexico. Steven Tyler is not all Rock and Roll any more though. He’s saunted over into the Country music genre and has been welcomed with open arms. To be frank, he’s pretty dam good right off the bat. Thank back about 40 or so years ago, if you had said to Steven Tyler that in order for him to stay relevant in music, he eventually would need to “go country”, it’s likely the famed Aerosmith frontman would have attempted to strangle you with one of his multicolored scarves. Not anymore. Tyler recently moved to Nashville to work on what would become his first solo record. We’re All Somebody From Somewhere, released last month, is the product of a team of collaborators – producers, songwriters, a label (Big Machine) also home to Tim McGraw and Rascal Flatts – who are helping relaunch Tyler as a modern country newcomer deserving of a place on the charts alongside Dierks Bentley and Jason Aldean. Why? Because that’s where many of the fans are. Country music is presenting many brand new opportunities to artists who once enjoyed non-stop airplay on rock radio playlists but who now have fewer outlets since the format eroded. Besides Tyler, Don Henley, Sheryl Crow, Sammy Hagar, Uncle Kracker, Kid Rock and Aaron Lewis of Staind have all rebooted their fanbase. Darius Rucker of Hootie and the Blowfish launched an entirely new career by turning to Nashville. Within the city lie the publishing houses, major labels and studios that work with collective precision to create and market hits. 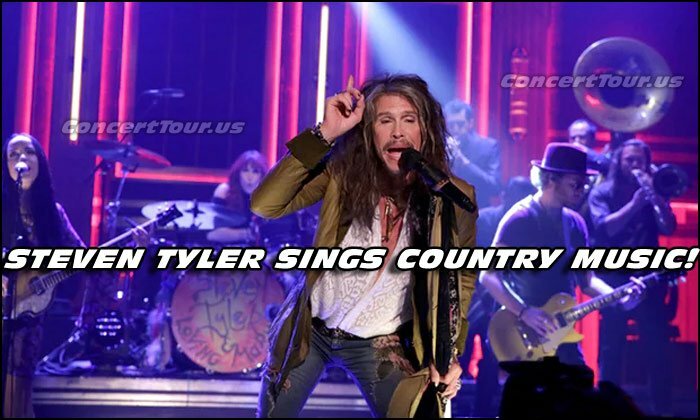 Keep an eye and an ear out for Steven Tyler’s big entrance into country music. In this pic, Steven Tyler smiles for the camera at the 49th Annual Country Music Association Awards Show. Here’s Steven Tyler doin’ his thing! Shot when he performed live on The Tonight Show on NBC. BON JOVI Puts Out New Single ‘This House Is Not For Sale” as Fans Explode With Excitement. Watch Video Here.